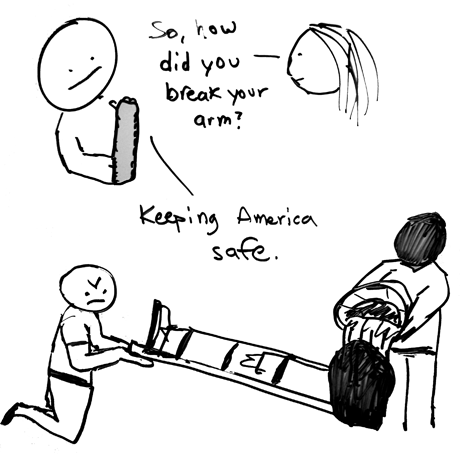 Arm in arm we sang our patriotic songs | Whiteboard "Comics"
So, yeah, I totally broke my arm. AND I drew this guy with that broken arm. Never question my dedication to comicks-making ever again.